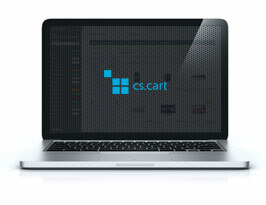 CS-Cart is a perfect solution for any online business, from a small startup to a large web shop. All you need for an instant start and stable growth is right there for you. 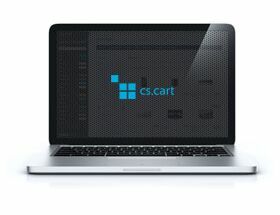 CS-Cart ships with a modern, beautifully designed storefront. One of the best online sales systems in the world. CS-Cart is a perfect solution for any online business, from a small startup to a large web shop. All you need for an instant start and stable growth is right there for you. CS-Cart ships with a modern, beautifully designed storefront. Use one of the pre-installed design presets or create your own. the fee for the program is one-time payment. Always actual exchange rates in shop. CS-Cart gives you powerful capabilities to contol product options: create option combinations, add images for each option variant and combination, apply weight and price modifiers. When creating an option, you can select its type. Besides the common option types - Select box, Radio group, and Checkbox - you can choose the Text, Text area, and File. The File type is useful for customizable products, where customers use their own graphic images. Combine option variants to create an option combination. 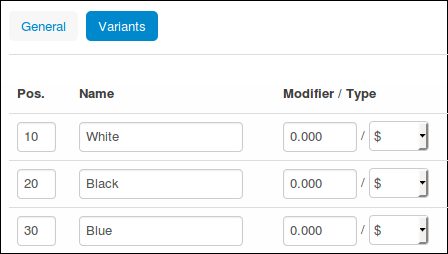 Then add an image for each combination: when a customer chooses option variants on the product details page, the product image changes according to selected option variants. You can also add forbidden combinations. 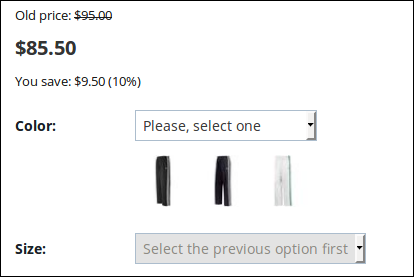 Customers cannot select option variants of the product, if these variants make a forbidden combination. After shopping, each customer can easily return a product or place complaint. Managing complaints and returns is easy and intuitive. You don't need to call to your customer many times, to solve problem of return or complaint of product. You can simply create special offers that will be presented to your customers. You can fully customize your promotion and address it to any group of customers. 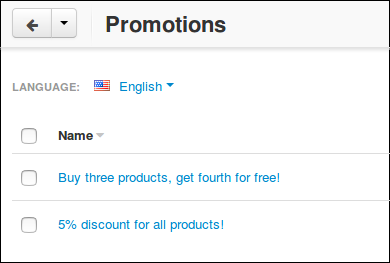 You can create promotions on product catalog, or ones which appear in customer cart during shopping. Price modifiers reduce or increase the original price of the product, if a customer selects a particular option variant. Weight modifiers change product's weight depending on the selected option variant. 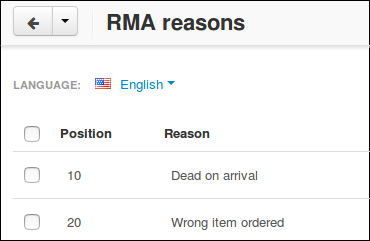 This feature is useful for delivery cost calculation. By using sequential options you let your customers choose options successively, one after another. For example, if a product has two options, the second option is locked until a customer chooses the first one. 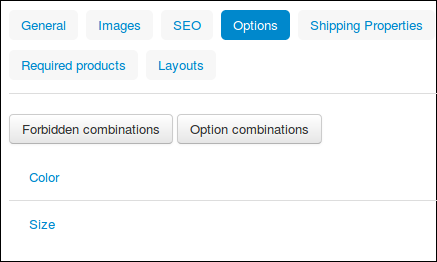 Thanks to this feature, your customers choose only allowed option combinations. 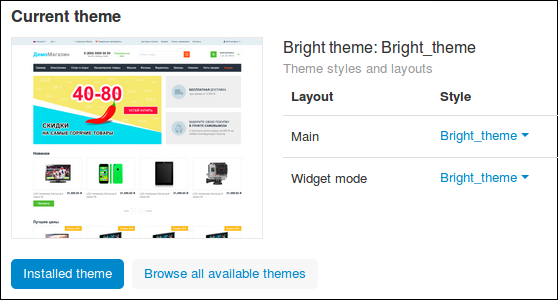 With the built-in theme editor, you can change your storefront background, color scheme, fonts, and more directly on site. Choose one of the default design presets or create your own unique style. No HTML or CSS knowledge required! 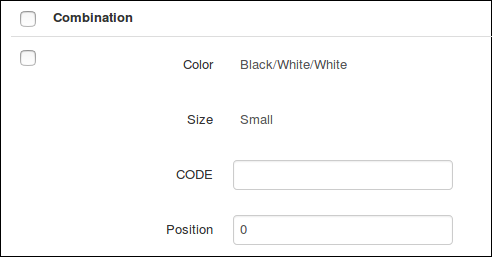 Change look and feel of your store with different storefront themes that are easy to install and select in CS-Cart admin panel. 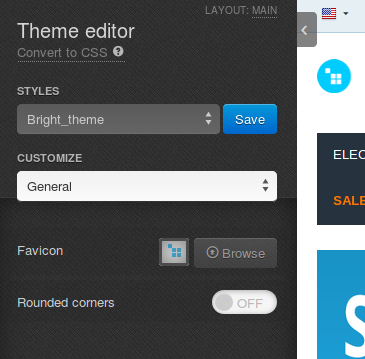 CS-Cart Marketplace offers over 200 beautiful storefront themes to fit every taste.